Millennials are now the largest generation in the U.S. labor force. However, many older companies, executives, and HR teams still have trouble connecting with this talented and tech-savvy group. Oftentimes, they go about onboarding, training, and corporate events the wrong way, causing Millennials to disengage and jump ship to another company or organization. So how can you better engage the Millennials you work with and see more success at your meetings and corporate events? We’ve got some helpful tips. There are 11 million meetings held in the United States each day, on average. That’s a lot of meetings — and a lot of staring at boring office walls. It’s no wonder Millennials start to tune out and disengage. While your office may be handy, a break from the normal routines and office decor is a sure-fire way to engage not only Millennials, but all employees, customers, or clients. There are many benefits of taking your meeting off-site, including team-building, improved morale, and increased creativity. Introducing a bit of novelty and diverging from the normal can help fight meeting fatigue and keep attendees interested. 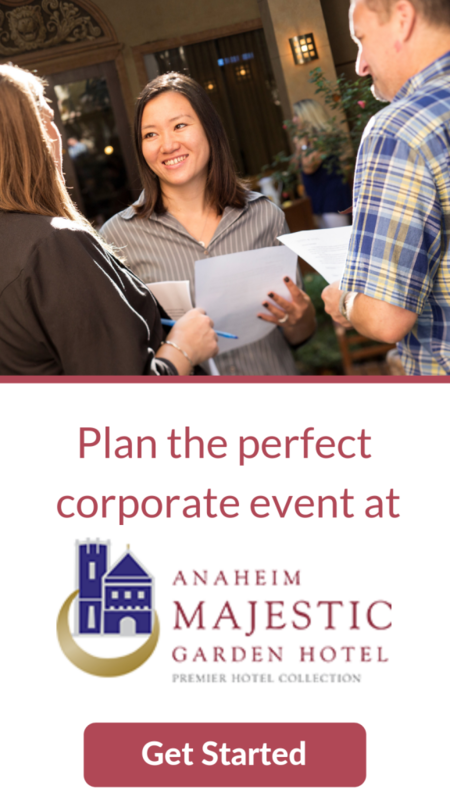 At Anaheim Majestic Garden Hotel, we offer creative and fun ideas for your next meeting that go beyond awkward ice breaker games, strict agendas, and monotone speakers who stand at the podium and talk for three hours straight. If you’re looking for something a little more meaningful, let’s chat about how we can take your meeting or event to the next level. There’s no doubt that social media sites like Facebook, Instagram, and YouTube are popular among Millennials. In fact, they’re popular among employees of all ages. About 70% of all Americans use social media, according to Pew Research Center. Keep that in mind as you’re planning meetings, conferences, and corporate events. Integrating social media into the event itself can be a great way to keep Millennials in tune and excited. For example, consider a hashtag and a social media wall that pulls in live updates for larger events, like fundraisers and conferences. Adding visual elements that are unique and exciting — such as a the castle-themed design at Anaheim Majestic Garden Hotel or even a sushi-making demonstration with our own Chef Hiro — also make for “Instagram-worthy” photos and videos that Millennials will want to share. Remember, if they’re engaged and excited online, they’re engaged and excited in person too. Not only that, but they’re then sharing insights into your company culture with other talented Millennials who may be a good fit for your team. Along with social media comes technology in general. Technology — and the convenience it provides — is an integral part of the day-to-day lives of Millennials. Why fight it? Whether it’s online event check-in, a digital agenda, or submitting feedback and questions through online forms, the more you can work technology into your meetings, the more likely Millennials are to feel stimulated and engaged. Not only that, but it can make the lives of event planners and meeting coordinators easier as well by cutting down on printing costs and helping to easily organize forms and data. Keep in mind, a strong Wifi connection is an important piece of the technology puzzle and should be one of the things on your event venue checklist. Too often Millennials feel like their attendance at the meeting isn’t important. They get overshadowed by senior-level members of the team and/or strict schedules don’t allow for networking or discussion. Millennials want to feel like they’re a valuable part of the team. Like anyone, they want to feel like their thoughts, ideas, and opinions matter. Meetings were never meant to be a lecture where someone talks at you rather than with you. Allow your Millennial team members to participate in the meeting by breaking away from the traditional one-sided format and allow plenty of time for Q&A panels, mingling, networking, and small group discussion. Have meeting goals and stick to them. Thanks to growing up with technology, Millennials are used to instant gratification. With that in mind, unproductive meetings that don’t result in any tangible outcome or decisions can be very frustrating to them. When we share tips for planning a productive meeting with meeting planners hosting events at Anaheim Majestic, we always recommend sticking to an allotted amount of time and having a focused agenda. That way, everyone is clear on the goals and objectives from the get-go and can schedule appropriately. You also want to give attendees adequate time to prepare to avoid wasting time in the meeting or having to schedule an additional follow up. Looking for a great meeting venue in Anaheim, CA? 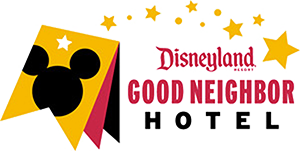 With 20,000 square feet of flexible meeting space and a convenient location near popular attractions such as Disneyland® Resort and the Anaheim Convention Center, Anaheim Majestic Garden Hotel is the perfect SoCal venue for your next corporate event. Start planning your next event today with the help of our expert team!